Our comprehensive eye examinations are used as screenings to evaluate ocular health, diagnose, and treat any vision impairments or ocular disease. These tests include various ways to evaluate visual acuity, color perception and peripheral awareness. This helps us determine nearsightedness, farsightedness, astigmatism, the need for bifocals, or even any area of loss of vision or visual acuity that may be of concern. Eye exams can be used by the eye doctor to identify visual complications at the earliest stages to aid in the prevention of long-term side effects. From an ocular standpoint, these include cataracts, glaucoma, macular degeneration, and other visually debilitating conditions. Also of great importance, a comprehensive eye exam is of great value to determine the state of systemic diseases like hypertension, diabetes, and rheumatisms to name a few. 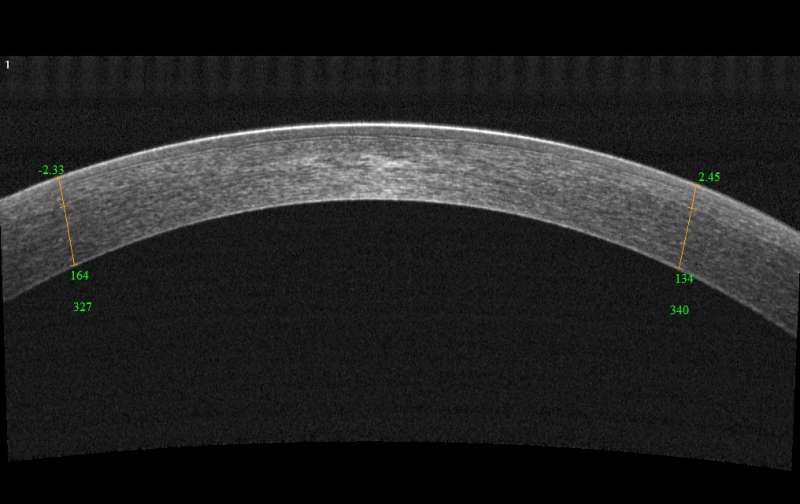 Optovue OCT has a broad range of applications in today’s eye care practices. 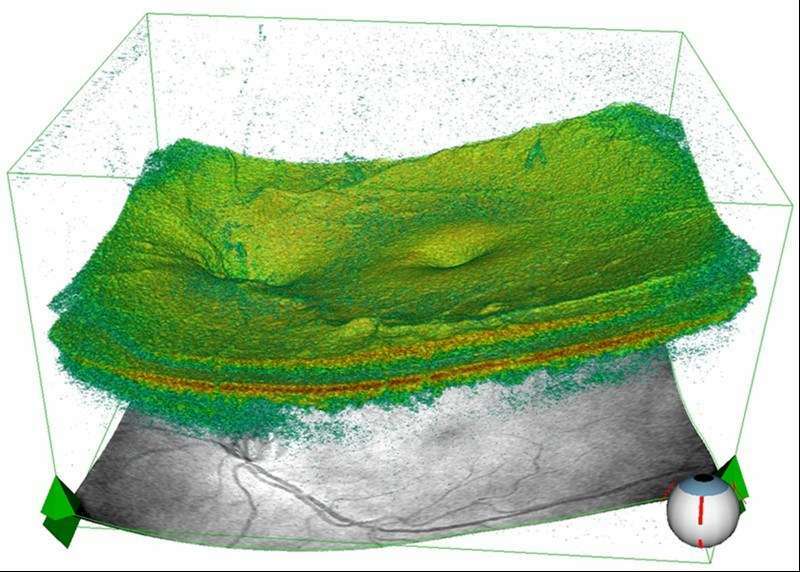 OCT technology generates high-resolution, cross-sectional and three-dimensional (3D) images of the retina, optic disc and anterior segment, to give you valuable information that aids in the diagnosis and management of a range of ocular diseases. This type of imaging visualizes the structures of your eye — from the front, or anterior segment, to the back, or retina. Your eye doctor will use OCT to aid in diagnosing disease and managing your ocular health. 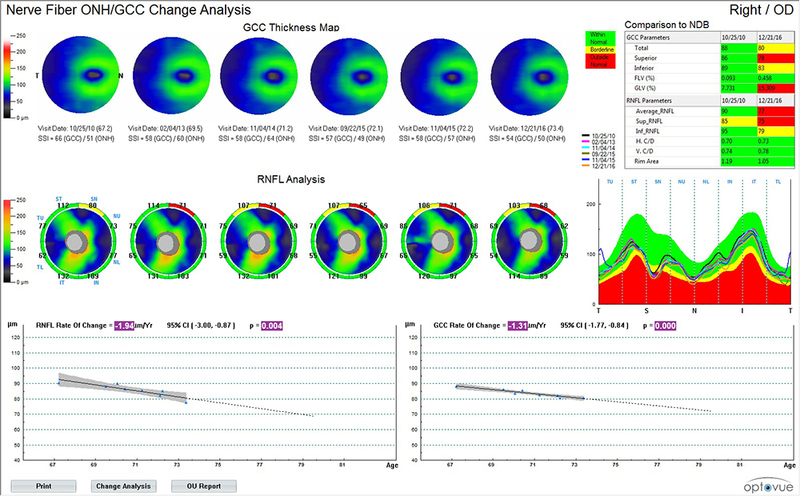 OCT technology is transforming the way physicians assess nerve fiber layer thickness, ganglion cell complex thickness, and a range of parameters on the optic disc. Optovue OCT systems utilize advanced software to provide extensive analysis of optic disc structures in simple, easy-to-read reports. This is a wonderful objective tool in the treatment and management of optic nerve diseases like glaucoma. 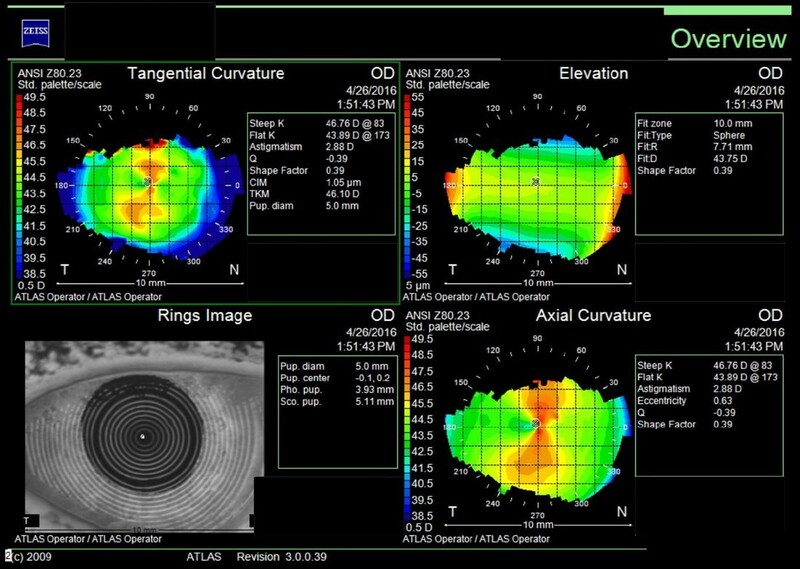 Anterior segment OCT further expands the role of OCT in clinical practice and gives you the ability to visualize cross sections of the cornea, see and measure corneal angles, measure and track corneal thickness over multiple visits. This is especially useful in aiding in the fit of scleral contact lenses for conditions like keratoconus. Corneal topography is a computer-assisted procedure used to measure the curvature of the cornea, the clear front window of the eye. The corneal topographer projects illuminated circles on the cornea that are reflected back to the computer and used to produce a map of the cornea. This map can reveal any irregularities in the cornea’s curvature. Other devices measure the corneal elevation in three dimensions, and these measurements are converted into a corneal curvature map, which in turn can be a tremendous aid in the fitting of contact lenses. Corneal topography is commonly used to help follow the progression of keratoconus and to assist in fitting patients with contact lenses to treat the visual distortions caused by this condition. It is also one tool that may be used to help with certain refractive procedures such as LASIK . Also, ollowing corneal transplant surgery, corneal topography helps the doctor identify where to selectively remove sutures to smooth the shape of the new cornea. Corneal topography is quick and painless. A technician will ask you to sit comfortably and rest your head against a bar on the topographer. You then look into a lighted bowl. The technician takes a picture, which the computer uses to analyze the curvature of the cornea and to produce an image that the eye doctor will use in your treatment. Call Peachtree Corners Eye Care today and start being proactive about your healthcare.